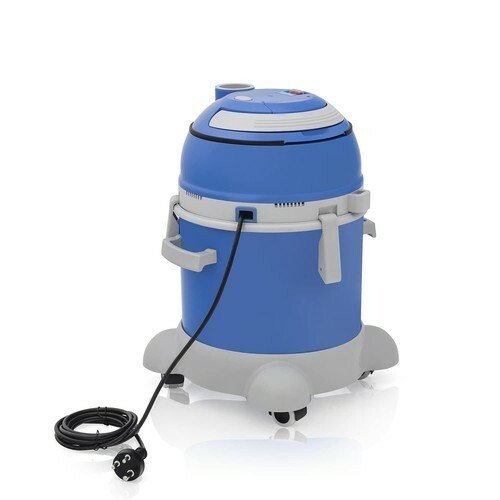 Our firm specializes in offering an excellent range of Wet And Dry Vacuum Cleaner. Easy to operate, this machine is used for cleaning purposes in commercial & residential areas. In compliance with industry defined quality standards, this cleaning machine is manufactured using quality proven components and cutting-edge technology at vendors' end. Our valued clients can avail this cleaning machine from us in different models at nominal rates. Incorporated in 2008, in Pune (Maharashtra, India), we “Strapex Enterprises Pvt. Ltd.” have gained recognition as the leading manufacturer, Trader and Supplier of highly reliable range of Plastic Strapping Machines, Strapping Hand Tools, Carton Sealing Machines, Wrapping Machines, Packing Material, Packing Material Dispensers, etc. These products are obtained from some of the reliable and trusted vendors of the market. We have a strong clientele of more than 300 companies of various industries like automobiles, hospitality or institutes. Our products are manufactured by our trusted vendors using modern technology and high quality raw material in adherence with the set international quality standards. These products are widely acknowledged among our clients for their feature like durability, less maintenance, high performance, easy to operate and long service life. Also, our clients can avail these products in several specifications as per their needs.